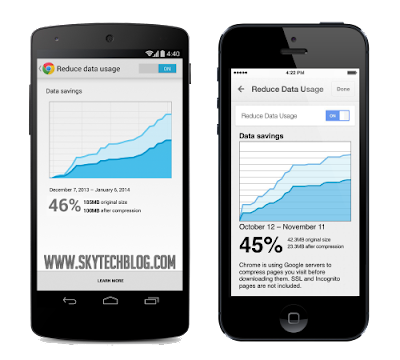 As we said in the first tip the apps running in the background can still consume alot data. Disable such apps for eg. Weather widgets can still connect to the internet when you are not using it. Whenever theres an update for any app don’t update it using your mobile data connection. If you have a android device you can Turn on Update apps on Wi-Fi only options from settings menu in Google Play store. Always try to update apps through a Wi-Fi connection. If you are android user there is a option on the phone settings that lets you turn off 3G/4G connection. So switch to slower connection like 2G or Edge is better idea when you use data consuming app like messengers etc. When you travel to another country orb state, be sure you’re well aware of their roaming rates as it’ll be significantly higher (and on top of) your existing data plan. Some carriers offer various travel plans, so be sure to consider one to avoid a nasty surprise on your bill. When in doubt, disable data roaming in the Options/Settings section of your smartphone. Firewall is a very usefull tool to restrict apps to connect to internet. You can block the internet connection of the apps which display adds and consume data for no good reasons. If you are Rooted Android user or a Jailbroken user you can simply download any firewall app from Google Playstore or Cydia. Use Opera Mini browser and disable the Load Images options from the settings. This will stop loading any images from the web and will only allow Text to load up. This can save 90-99% data to load a website. If you need to do any major email correspondence or extensive web surfing, ask yourself if it can wait until you get to a computer. Just because you can do it on a smartphone doesn’t mean you should – especially over cellular connectivity. Follow all our tips and feel the difference. If you loved our guide and found it usefull then don’t forget to share it with your friends and family and help them to save some money!